Donald Trump is a shameless compulsive liar. Anyone who doubts the truth of that statement has not been paying attention. But what was the first BIG lie? The whopper that set him on the road to a lifetime of mendacity? 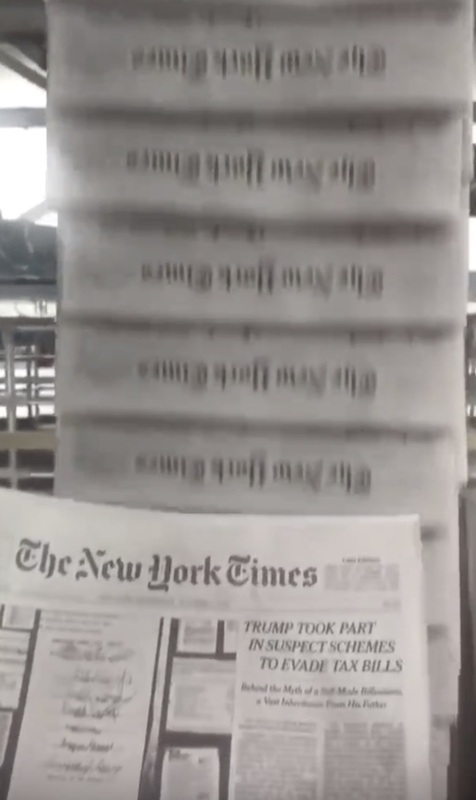 The Canadian business journalist, Susanne Craig, at the New York Times since 2010, says Trump’s claim that he made his own fortune is the “foundational lie”. Trump boasts he is a self-made man, allegedly turning a loan of $1m from his father Fred into a global empire worth billions. But it’s a lie. “Donald J. Trump built a business empire and won the presidency proclaiming himself a self-made billionaire, and he has long insisted that his father, the legendary New York City builder Fred C. Trump, provided almost no financial help. “I built what I built myself,” the president has repeatedly said. The story shows the dubious ways in which Trump made his money. Since the New York Times story was published Trump has been uncharacteristically quiet, ignoring its jaw-dropping exposé. No lawyers’ letters are anticipated. Last week in Toronto I sat in on a conversation between Craig and former CBC investigative journalist Julian Sher (who produced The Fifth Estate for many years) hosted by the Canadian Journalism Foundation. Craig has been covering Trump and his finances since early 2016 when she received an anonymous brown paper envelope containing three pages from one of Trump’s tax returns. She and two other Times’ journalists spent 18 months putting the jigsaw together working out of a room next to the Times’ Arts and Travel Office to which only they had access. Craig tells us she often felt uneasy sitting at her desk by the window fearing she might be the target for a sniper. The Times’ building is a fortress but, despite this, I learn staff get regular first aid training. Good grief! Initially, Craig and her colleagues worked on publicly available information, identifying every single one of Fred Trump’s properties, establishing what he paid for it and how much revenue it generated. Craig gave each property its own name – a kind of aide memoire. From this they could begin to understand Fred’s modus operandi. Rent was already being paid to Donald Trump (age 3) and by the time he was 8 Donald was a millionaire. By the time he was in college Donald was getting $1m a year from his father. Fred did everything he could to minimise the amount he paid in tax, transferring wealth across the generations. The sums are staggering. Despite this generosity, Trump gets his lawyers to draft a codicil to Fred's will making him the sole beneficiary. Fred, ailing but still compos mentis, tears it up. With the mid-term elections now behind them, Americans - and the rest of us - may soon be focussed on Trump’s tax returns. Their publication will be a truly delicious moment to savour. 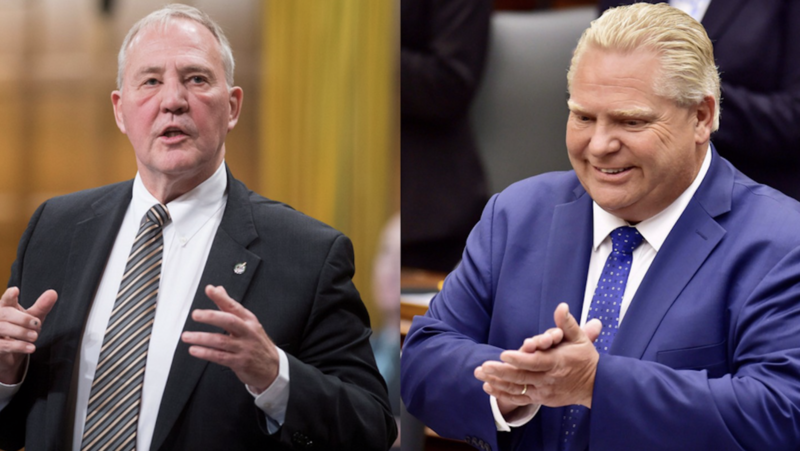 Bill Blair’s “consultation” with Canadians on whether or not to ban assault rifles and handguns wraps up on Saturday 10 November 2018, ending with a whimper rather than the more appropriate bang. Buried in the website of Public Safety Canada you can find a form to fill in. This is a consultation by stealth. It’s the pretense that gets me. Holding out the possibility of a ban when, in reality, nothing is going to happen. No newspaper or TV ads asking the public for their views. No billboards. No real attempt to engage people. 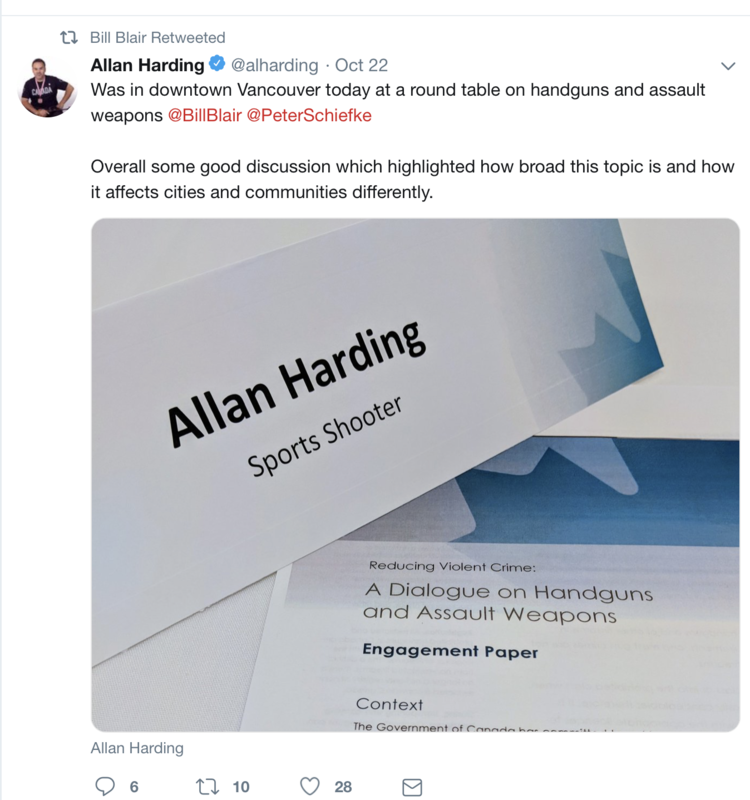 Only one tweet from the Minister on the subject – and that was a retweet of the views of a sports shooter who had been present at one of Blair’s “by invitation only” events in Vancouver. Blair has posted nothing on Facebook about the handgun consultation. 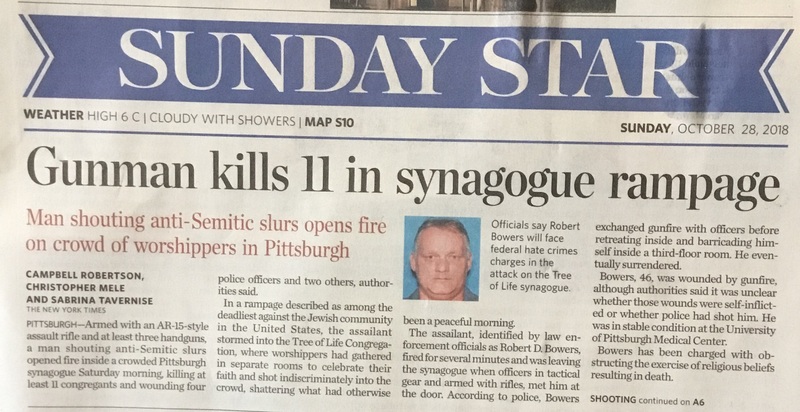 But he had something to say about the eleven people slaughtered in the Pittsburgh synagogue. I don’t know if I can take much more of this stuff. Blair’s prose is beautiful but, as I keep repeating, thoughts and prayers aren’t enough. A fitting tribute for the victims in Pittsburgh would be a handgun ban. It won’t happen in the United States of course but it could here. Unfortunately, the chances are vanishingly slim. The Government is afraid of its own shadow – and of the gun lobby. "It's very disappointing that an elected government would turn on two million law-abiding citizens that haven't done anything wrong and start looking at punitive measures of taking their lawfully owned property. Handgun ban? Not a word. According to Statistics Canada there were 130 homicides committed with a handgun in 2016 - the most in more than a decade. Handguns accounted for 21 per cent of the total homicides that year, and 58 per cent of the shooting homicides. Since data started to be collected in 2008 we have seen a steady rise in the theft of legally owned guns. But legal gun owners have been adding fuel to the fire, selling their guns illegally. The Head of Toronto Police Guns and Gangs Unit, Rob Di Danieli, told the National Post that before 2012, about 75 per cent of the firearms were trafficked from the United States but by last year about half came from within Canada. He said legal Canadian gun owners were selling their weapons illegally. He quoted one example where 47 guns had been sold over a five month period making a $100,000 profit for the legal gun owner. The RCMP estimates that about half the illegal guns they trace started out as legal guns purchased at a Canadian gun store. The rest come from American gun smugglers. The National Post quotes an RCMP estimate from 2016 that up to 61 per cent of illegal guns started life as legally owned Canadian firearms. In 2016, for the first time, shootings overtook stabbings as the cause of death in homicides. I wrote to Bill Blair on 11 October 2018 to ask for details of his handgun consultation. I heard nothing and followed up with a reminder last week but still I hear only silence. What is it with Canadian politicians? How is it possible to have an on-line public consultation and then ignore a member of the public who is so obviously keen to participate? Toronto and Montreal have made the headlines but what about other municipalities – including my own in Newmarket – who may wish to express an opinion. What weight will be given to their views? 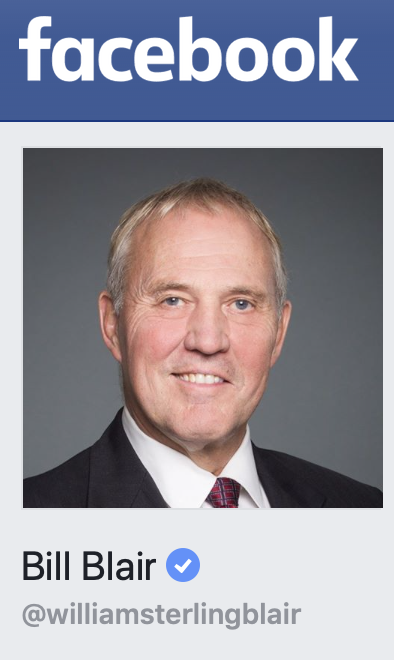 Seems to me Bill Blair is just going through the motions. Update on 8 November 2018: The epidemic of mass killings in America continues relentlessly, without missing a beat, accompanied by the usual condolences, tributes, thoughts and prayers. Nothing yet from the NRA. Update on 12 November 2018: From the Globe and Mail: "We must criminalise gun possession in Canada." On Tuesday (6 November) Americans will be voting in their mid-term elections. In too many places the integrity of the ballot will be compromised as voters use ancient voting machines that can be easily hacked. But that’s the United States where the wheels are coming off the wagon. But before we get too superior we should ask ourselves about internet voting in Canada. Is it secure? Here in Newmarket, for the first time, we had no paper ballots in the municipal election on 22 October 2018. Voters could phone or go on-line to cast their ballot. The Town contracted with Scytl – a privately owned corporation headquartered in Spain - to provide the electronic voting services. Its shareholders are venture capital funds and private individuals including the company’s founders and management team. Unlike some other municipalities in Ontario where voting hours had to be extended because of problems with “system load”, everything here appeared to go quite smoothly. But can the Town guarantee the security and secrecy of every vote cast? 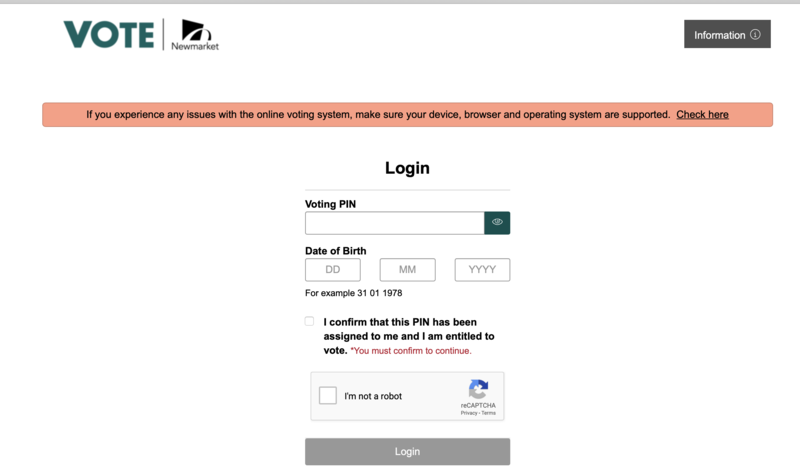 “The problem is exacerbated by the fact that some municipalities don't even know where the servers they use for the online voting are located. The election server itself may not even be in Canada." "We did a study last year on the Western Australian state election and we found the private keys. These are the encryption keys to protect your ballot and voter credentials. We found those keys living on servers all over the world, including in China." In 2016 the City of Toronto considered moving to on-line voting but rejected it, sticking with paper ballots in last month’s election. An article in Municipal World explains why Toronto and Vancouver took a hard line. So why did Toronto reject internet voting? She says vendors are “rarely held liable for security failures or election disasters” and that contrary to the widespread belief internet voting does not increase voter turnout nor engage young people. Security systems are frequently compromised. At Facebook. At Cathay Pacific. At British Airways. At Air Canada. At Uber. At Deloitte. At Ashley Maddison. At Walmart. At the Bank of Montreal. At the Canadian Imperial Bank of Commerce. Everywhere. All the time. So why would we believe it could never happen in our elections? It is unlikely to become an issue until it does. Robert Bowers, the deranged gunman who shot and killed 11 people in a Pittsburgh synagogue yesterday, was armed with an assault rifle and at least three handguns. There will be calls for Americans to offer their “thoughts and prayers” to the victims’ families and to the wider Jewish community but nothing will change. Sandy Hook proved that conclusively. If children can be slaughtered, while leaving the rules on gun ownership untouched, then nothing will persuade Americans to end their love affair with guns. The United States is a completely dysfunctional polity. Its President, the ludicrous Donald Trump, yesterday suggested the way forward was to have armed guards in places of worship. Its institutions are incapable of making the changes that are needed to protect Americans from the mad, bad, angry or delusional people who want to kill and maim them with firearms. In Canada there is no “right to bear arms”. Holding a gun licence for a handgun is a privilege which Parliament should now revoke. What happened in Pittsburgh could easily happen here. Across the GTA, police presence is to be increased around synagogues and places of worship. 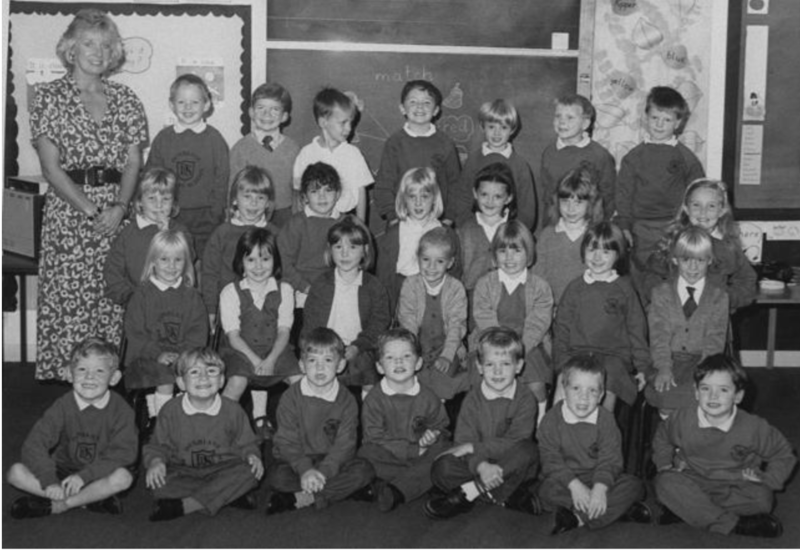 16 children and their teacher were shot and killed in the school gymnasium in Dunblane on 13 March 1996. “Hamilton entered the school with 4 handguns and 743 rounds of ammunition, Thomas Hamilton fired 105 rounds with a 9 mm Browning self-loading pistol over a space of about 3-4 minutes before committing suicide with one shot from a .357 Smith & Wesson revolver. There was a huge outpouring of grief nationwide with hundreds of thousands of people adding their names to the “Snowdrop Petition” calling for a total ban on handguns. The then Conservative Government legislated to ban handguns but exempted shooting clubs. In 1997, the incoming Labour Government legislated to ban all handguns in private ownership. At the time, I was an MP at Westminster and voted for a complete ban. I have never regretted that decision. In the UK – which has some of the most restrictive gun laws on the planet – the unlawful possession of a handgun means five years in prison. The same thing should happen here. There should be a complete ban on handguns with gun owners compensated at fair value when they hand over their firearms at police stations, as happened in the UK. So, are we going to get a handgun ban? The omens don’t look good. On 11 October 2018 I met Newmarket-Aurora’s Liberal MP, Kyle Peterson. He told me he was leaning towards a ban on handguns but was waiting for the report on Bill Blair’s consultation before finally deciding which way to jump. I talked about gun violence in Jane and Finch and across Toronto and wondered if he would take a position if shoppers were slaughtered in, say, Upper Canada Mall. No. He says he still wants to see Bill Blair’s report first. I had a useful meeting this morning with my own MP, Kyle Peterson, (Newmarket Aurora) about your examination of a possible ban on handguns and assault weapons. To Bill Blair: What consultation? To Doug Ford: How did your sister Kathy feel about being shot in the head? I am very much in favour of a complete ban on handguns. Indeed, while I was a Member of Parliament in the UK I voted for such a ban following the Dunblane massacre in 1996 when 16 primary school children and their teacher were killed by Thomas Hamilton. I have never regretted that vote for one moment. Would it be possible for you to send me the details of the public consultation you are having? Are there any documents people should read beforehand to inform themselves of the issue? What form does the consultation take? What is the timetable? When do you anticipate reporting? Are there Town Halls where you will engage the public? If so, where will these be held and when? Will you be actively seeking out the views of organisations or particular individuals or are people expected to come to you, so to speak? Is there a dedicated website or webpage you can point me to? Thank you so much. I look forward to hearing from you soon. I am copying this to Mr Peterson. I am still waiting to hear from the Minister, Bill Blair. What happened to the consultations? “wants the consultations to wrap up by the end of the year”. How is this even remotely possible if we do not know who, where and how he is consulting people? Kyle Peterson was unable to enlighten me about the mechanics of the consultation. He is as much in the dark as the rest of us. My fear is this “consultation” will not amount to a hill of beans. The danger is nothing will happen before the Federal Election when memories of Danforth and the other instances of senseless slaughter will, perhaps, have faded. In the wake of the Danforth shooting the Mayor of Toronto, John Tory, says he would like to see a ban on handgun sales in Toronto. Montreal goes further, calling for a national handgun ban. The Fords and "responsible gun ownership"
But we know that even “responsible handgun owners” can flip and become irresponsible. They may have anger management issues. They may just go crazy. Personally, I wouldn’t have trusted Mayor Rob Ford with a handgun when he was high on crack - or even when he was sober. Accidents can happen and frequently do. In her lauded biography: “Crazy Town – the Rob Ford Story” Robin Doolittle tells the story of Kathy Ford, Doug and Rob’s sister who was accidentally shot in the head by Scott, who was trying to break up a fight at the time. 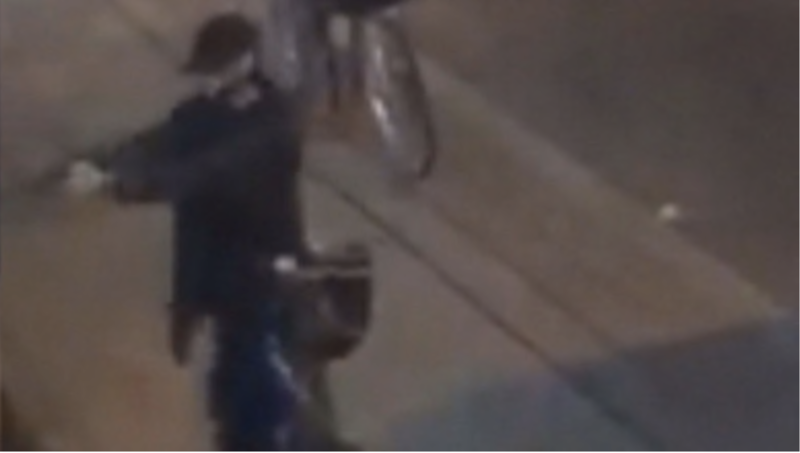 The gun was owned by Doug Ford senior, the head of the Ford dynasty, who was an avid collector of firearms. Kathy Ford survived and investigators determined the shooting had been an accident. But despite this incident Doug Ford, now Premier, wants to see “responsible” gun owners keep their guns. My own MPP – and Doug Ford’s deputy - Christine Elliott is another politician who believes Canadians should possess handguns. At least she did in 2008 when she spoke in the Legislative Assembly about a Private Members’ Bill – the Handgun Manufacturers' and Importers' Liability Act (which never reached the Statute Book). I don’t know if that is still her view given the statistics tell us things are getting worse. I could ask her but it is unlikely she will tell me. For the people slaughtered in the Pittsburgh synagogue and for the countless unknown future victims of gun violence, thoughts and prayers are not enough. Yes. We should weep for the innocent but then we must act with purpose and resolution to ban the private ownership of handguns in Canada. Update on 30 October 2018: I asked my MPP for her views on the possible ban on handguns by email on 28 October 2018. If she chooses to reply to me I shall post her response in full. 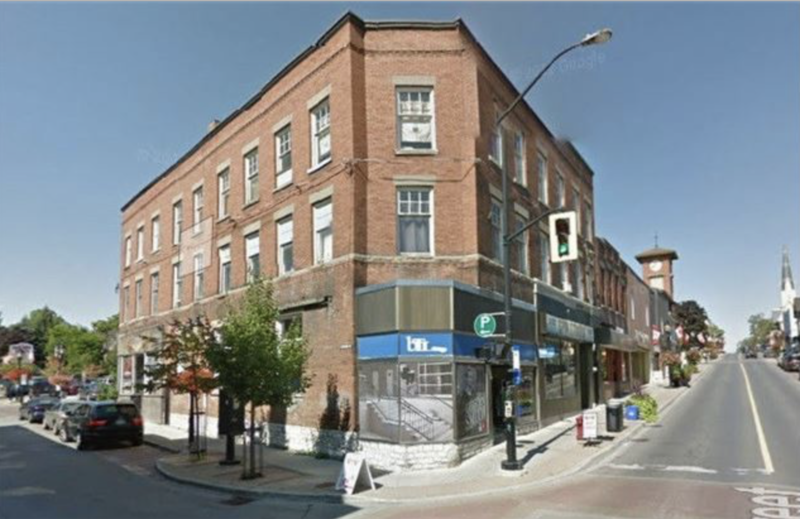 Key properties in the very heart of Newmarket’s historic downtown at 196-200 Main Street South are up for sale for $7,995,000. Businesses which will be affected include the Goulash House, Lemon and Lime and the Olde Village Free House. Coldwell Banker, the real estate brokerage handling the sale, describes the properties as a "turnkey investment opportunity" in downtown historic Newmarket. The property for sale is in the same block as those owned by the notoriously slippery developer Bob Forrest who has left his properties empty and boarded up for years. In May 2018 his wife, Colleen Forrest, promised to reveal the “new concept” plan for this key part of the old downtown “in the near future” but we are still waiting. Promises from the Forrests are essentially worthless. Will Forrest put in a bid for the properties up for sale? If so, he will, ironically, re-acquire business tenants he previously evicted from properties now shuttered on Main Street South. Will his promised “new concept” embrace the entire block? Does he have the cash to buy? Does he want to? "My business is building buildings." "I don't want to sound at all arbitrary but it is very real for me. My business isn't renting stores. My business is building buildings and I want to get to the point that I can build my building at the earliest possible moment." We don’t know what Bob Forrest will do about this new "investment opportunity" until he tells us. But in the meantime the Town should insist on full details of his “new concept” - which has been gestating for a leisurely six months. The Town should also check his empty and decaying properties on Main Street to ensure they are properly winter-proofed.